Maryland Hillel, in partnership with Kedma, kicked off a new learning initiative Monday with speaker Rabbi Daniel Reifman. 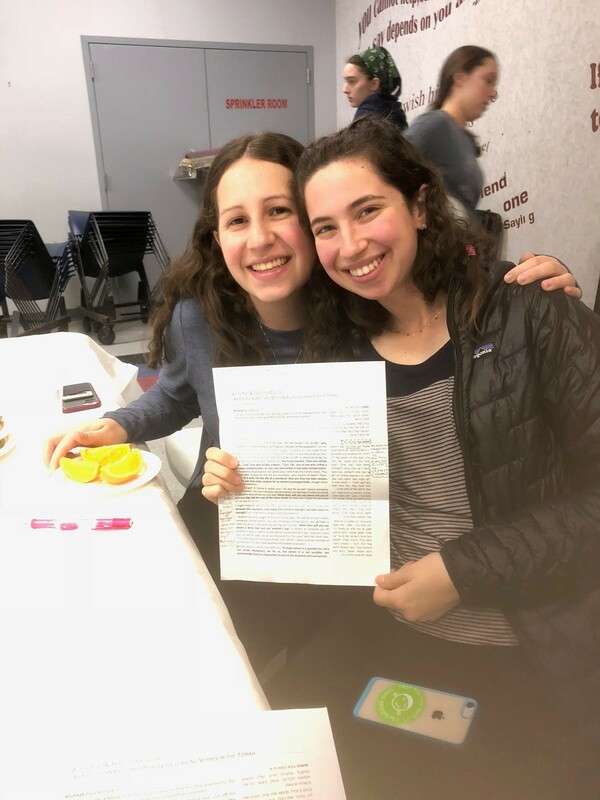 Food for Thought, which provides learning participants with Hillel-sponsored kosher dinner, was created in order to bring “non-freshmen” who don’t have full Hillel meal plans back into the Hillel building, said Kedma Vice President Aryeh Roberts, a sophomore philosophy major. “We want to bring non-freshmen into the building in a way that enhances their life through Torah learning. Giving them a free meal while learning Torah fits that very nicely,” said Roberts. Roberts, who served as Kedma education chair last semester, tried to re-implement the program—which ran a few years ago through OU-JLIC—during his term, but had to work with Hillel to ultimately figure out the logistics. “Thanks to Hillel, we’re very grateful, they’re actually willing to sponsor 20 people’s dinners, which is really nice, and it helps us facilitate our learning on this campus,” he said. Jacob Glassman, a freshman psychology and economics major and the new education chair for Kedma, shared Roberts’s vision for the community and took over the Food for Thought initiative this semester. Some students attended Food for Thought solely for the free meal, which highlighted the need to feed upperclassmen. “I don’t even know who’s speaking. Who’s speaking?” asked Maddie Met, a sophomore information science major. Other attendees were interested in the learning-food combination. “I love learning opportunities on campus and I try to take advantage of them, and I thought it looked really interesting, the topic… and having free dinner is definitely a plus,” said Rhonda Traub, a sophomore public health science major who was in attendance. For the first Food for Thought event, Roberts decided to host Rabbi Reifman from the Drisha Summer Kollel, a summer program for college students and recent graduates in a Jewish learning institute in New York. Rabbi Reifman spoke about the discrepancies between text and tradition in the Torah, and supplemented his words of wisdom with religious sources. “I’m excited to learn a new perspective on a familiar line of Torah,” added Karen Shapiro, a sophomore public health science major, prior to the event. Traub (left) and Shapiro learning with religious sources. Yakira Cohen/Mitzpeh. Specifically, Rabbi Reifman explored the authentic meaning behind the Torah verse of punishing misdeeds with “an eye for an eye.” He discussed the differences between textual and judicial arguments in the Talmud, and highlighted that there are multiple layers to any text. Roberts said he hopes to hold Food for Thought events once a month. No Replies to "Food generates thought, thriving community at Hillel"